This month, the last of the new handmade hardwood windows are being fitted. With local slate cills, they’ve changed the appearance of the barn immeasurably, and we’ve all enjoyed seeing the transformation. This has been a huge undertaking; we had to restore most of the openings to more traditional proportions, which has entailed a lot of stonework. Paul, our mason, has spent weeks on end painstakingly choosing the best stones for each space, and the results are well worth the effort. The new argon filled double glazing units will be fitted in the next couple of weeks, and with the iron door and window furniture being fitted next week, we’re well on our way to the long awaited decoration stage! Inside, an enormous amount of work has already taken place, including opening up the stairwell and first floor living room, exposing and repairing the old stone walls, and damp proofing and relaying the ground floors. In the old milking parlour, soon to be the kitchen, we found a wonderful cobbled floor complete with brick gulleys. Sadly we couldn’t leave it exposed due to damp and condensation issues, but we’ve covered it carefully with sand and relaid the new floor on top, so it’s preserved for future generations to find and marvel at! Upstairs, the stud walls mark out the bedrooms and first fix plumbing and electrics are almost finished. The light evenings are proving invaluable, if exhausting, as we’re working on site until nightfall every day. From oiling the oak panelling which will enhance some of the old openings to creating the frames for window seats in the deep walls, there’s always something to do! Outside, we’ve always loved the wild orchids which flower every summer in the orchard, but this year have been excited to see another species of orchid - just the one! - growing in the large meadow. If any botanists are reading and can help us identify the species, please do get in touch. Elsewhere, the many wonderful old roses are in full bloom, taking over from the wisteria as the perfect antidote to all the mess and dust on the site! We’ll be using local sheeps wool insulation from the Woolly Shepherd at Dunkeswell, and are expecting a TV crew from Reuters during August who have asked to film part of the installation process. Once the insulation is in place, the next big stage is plastering. 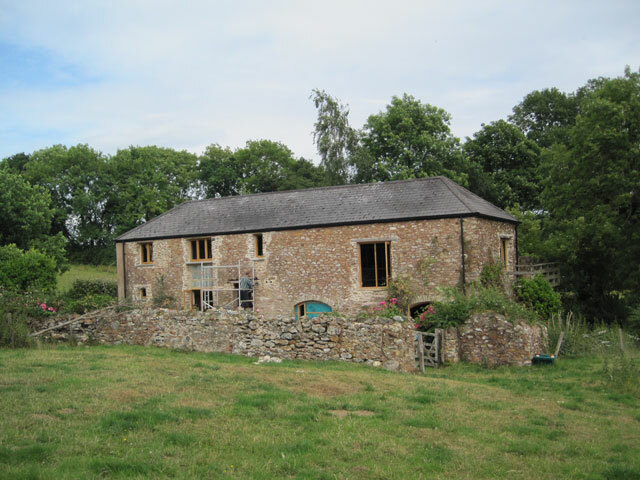 We’ll be using traditional lime plaster almost everywhere to allow the building to breathe, as well as helping to retain the calm atmosphere which pervades the barn. August will also be the month in which we order the new kitchen and start choosing interior finishes. Check back for regular updates on our progress, and exciting offers for our very first guests. 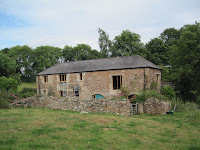 As we near completion and begin to take bookings, we’ll also be offering visitors to our site the chance to win a half price short break at Luggs Barn!